Jeffrey (Jeff) C Sprecher, founder, chairman and chief executive officer of InterContinental Exchange, is the most influential person in the world's financial markets structure, according to the recently published book The World's Most Influential People in Market Structure. 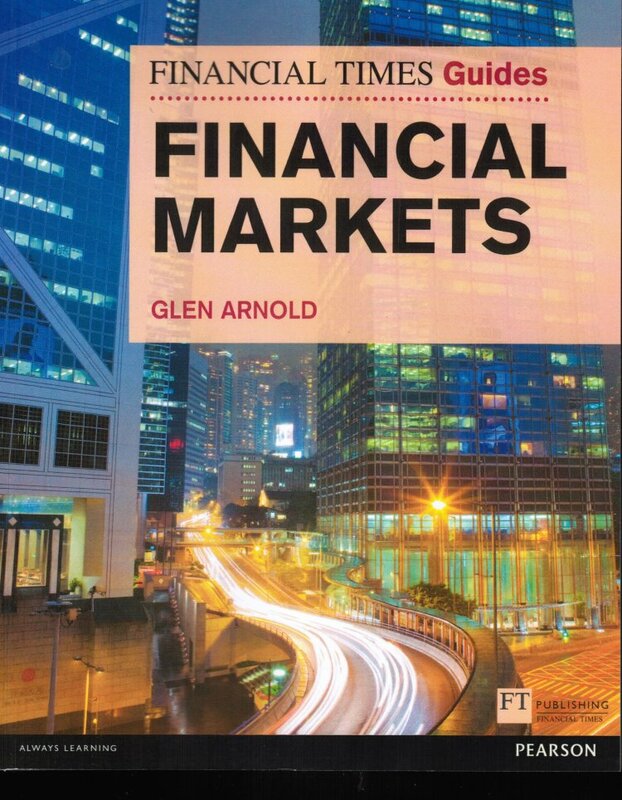 Written by Patrick L Young, founder of Exchange Invest (a newsletter devoted to analysing and understanding exchanges and market structures throughout the world), the book, as its title indicates, identifies the most influential people in market structure, 1,000 of them. In strictly alphabetical terms, these range from Georg Aasen, head of NASDAQ Oslo (number 981) to Kurt Zyla, global head of exchange relationships at S&P Dow Jones Indices (number 926). In strictly numerical terms, tucked in behind Sprecher in second place is Michael Spencer, CEO of NEX Group. Charles Li Xiaojia, CEO of HKEX, sits in third place. For a book of lists, The World's Most Influential People in Market Structure is oddly compelling, albeit rather costly at £150 for a paperback. The ISBN is 978-83-62627-99-8. 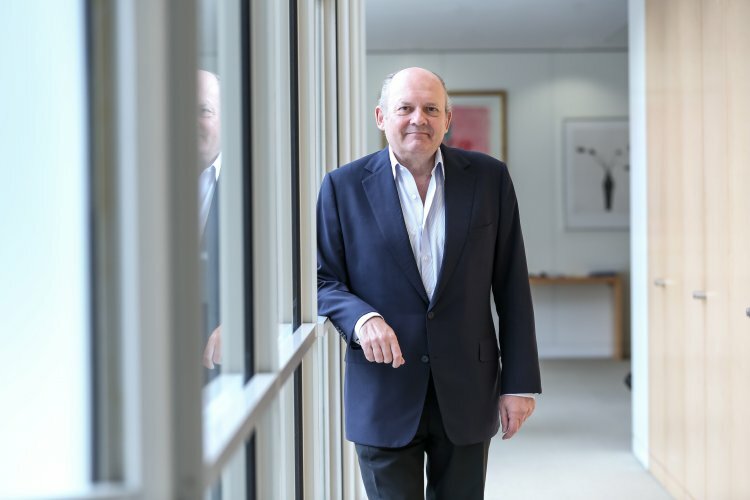 Patrick L Young, whose first published writing appeared in motoring publications when he was still at school in his native Ireland, is a former stock exchange CEO himself, and expert in financial market structure with experience worldwide. His Amazon author page describes him as a leading pioneer in fintech and innovation, having written the groundbreaking book "Capital Market Revolution!" (FT Prentice Hall 1999) a decade before the word "fintech" was even used. His opinion pieces have been published in many of the world's leading business newspapers including AFR, Boersen Zeitung, FT and the Wall Street Journal among others. The column inches devoted to the named individuals reflects their standing in the list. Jeff Sprecher, who is also chairman of the New York Stock Exchange, boasts a fraction over two pages explaining his standing. Number 1000, Tracey Roberts, communications and policy adviser at FESE (Federation of European Securities Exchanges), has three lines. A reading of his track record amply demonstrates why Sprecher is listed at number one. As the writer puts it: “There is only one man in exchanges about whom a vast bulk of his peers ask: What's Jeff doing? Slightly unfortunately, Sprecher's media bodyguards at ICE ignored our request for official photographs celebrating Jeff and the wonders he has wrought. The link above should take the reader to an interview he gave at JLN Exchange Leader Series 201. The link below to Sprecher according to Bloomberg. Young's chapter on Sprecher borders on a mini-hagiography but it is understandable. The official list of achievements attributed to him on the ICE website is nothing short of jaw-dropping in its length, breadth and depth. His life, it seems, exists on a plane beyond that of mere mortals. One cannot help wondering if he rested on the seventh day. Or whether he simply carried on creating more businesses. 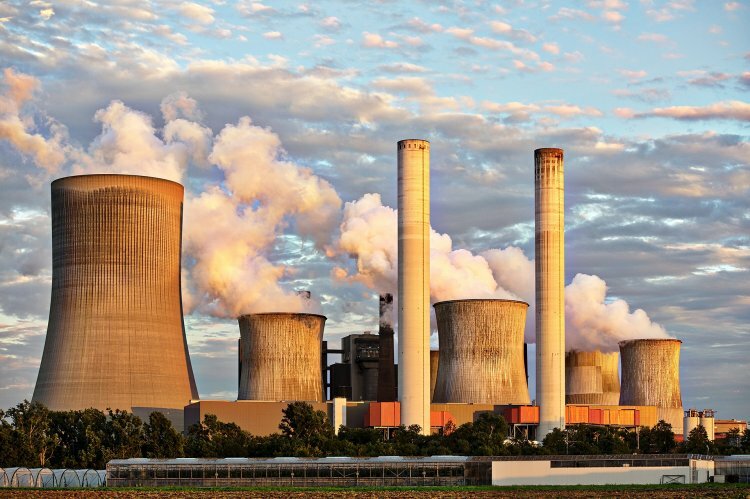 As president of Western Power Group, a developer, owner and operator of large central-station power plants in California, Sprecher recognised the need among energy market participants for an accessible, standardised electronic marketplace for OTC energy contracts. He acquired Continental Power Exchange (CPEX) in 1997 for US$1 to achieve his vision of an efficient market that would bring transparency to previously opaque and fragmented markets. Intercontinental Exchange was formed in 2000 and the company completed its initial public offering in 2005 on the NYSE. He has served as the company's CEO since May 2000 and as chairman of the board since November 2002. Under Sprecher’s leadership, ICE grew from operating an energy swaps market into a network of 12 global exchanges, including the New York Stock Exchange, through organic growth and acquisitions. ICE’s exchanges include equity and equity options exchanges, as well as futures exchanges that establish benchmark prices for interest rates, equity indexes, energy, metals and agricultural commodities. In addition, ICE operates six central clearing houses that provide risk management services. Today it has a market capitalisation of more than $30trn. Sprecher has led numerous strategic initiatives that have enabled ICE to expand from a single asset class - energy - into a broad range of asset classes today. 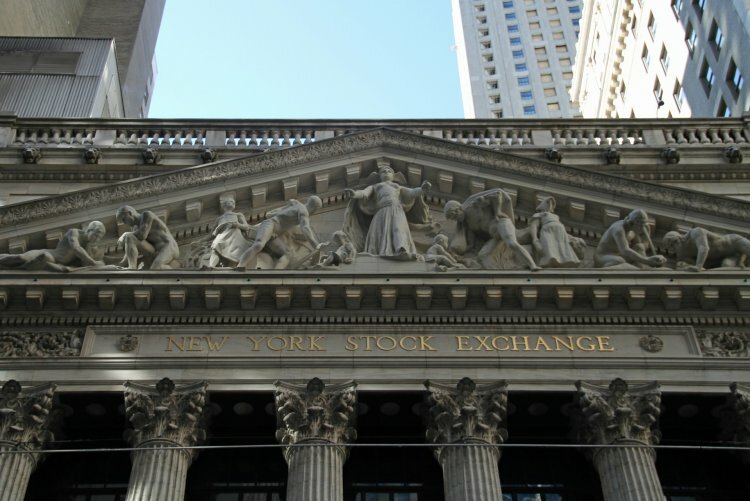 The New York Stock Exchange’s origins stretch back to 17 May 1792. A group of 24 stockbrokers met under an old Buttonwood tree on Wall Street and signed an agreement to trade with one another. A constitution adopted on 8 March 1817 created the New York Stock & Exchange Board, forerunner of today’s New York Stock Exchange. Nasdaq is the largest US electronic stock market, listing more companies and, on average, trading more shares per day than any other US market. Home to companies that are leaders across all areas of business, Nasdaq is the primary market for trading Nasdaq-listed stocks. Although today’s Nasdaq story began more than 40 years ago, it contains a rich history of the creation of financial and capital marketplaces throughout the world. As the company has grown, so has its heritage. NASDAQ companies today represent more than 90% of the Fortune 500. Nasdaq president and chief executive officer Adena T Friedman sits at number six in the Exchange Invest list. She originally joined Nasdaq in 1993, her entry notes, and was a key member of its management team for over a decade. During that time, she filled various roles including head of corporate strategy and chief financial officer. “She was an instrumental player in the company's acquisition strategy, overseeing the acquisitions of INET, OMX and the Philadelphia and Boston exchanges,” writes Patrick L Young. After a spell elsewhere, including time as chief financial officer (CFO) at Carlyle Group, she re-joined Nasdaq in 2014 as president and became CEO in January 2017. She is a martial arts practitioner, notes Young. Michael Ptasznik, the Nasdaq CFO, chief financial officer, is 96th on the list. “He sits on top of the finances of a complex series of subsidiaries within Nasdaq, none of whom seem to be very prompt to pay their bills,” is the extent of his entry. Heading north, we find there is no such entity as a Canadian stock exchange. The dominion's de facto exchange is the Toronto exchange. TMX Group Limited is an integrated, multi-asset class exchange group, a company domiciled in Canada and incorporated under the Business Corporations Act (Ontario). 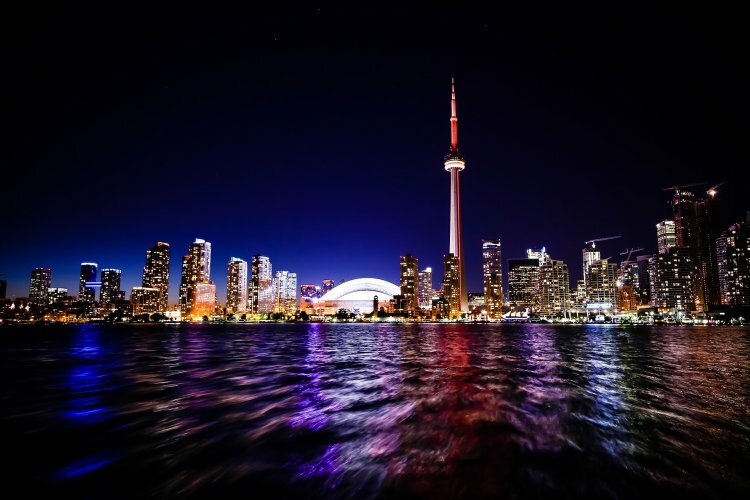 Its stated mission is to power capital and commodity markets, investment, and economic growth for clients in Canada, across North America and around the world. Its aims to be a technology-driven solutions provider that puts clients first. Chief executive officer Louis (Lou) Eccleston is not making a huge mark on the global or even local scene despite the considerable talent within the organisation, comments Patrick L Young. Given his low profile (evidence of which includes the reluctance to provide capital.com with an illustrative photograph), he ranks significantly below what might be expected of the TMX CEO in finding a natural level of influence, he suggests. Eccleston is at number 242 on the most influential list. 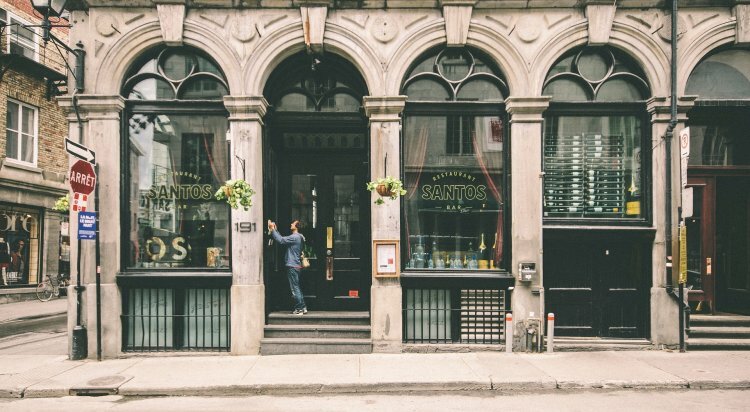 Canada's regulators include: Canadian Securities Administrators, Office of the Superintendent of Financial Institutions, Ontario Securities Commission, Financial Services Commission of Ontario, Autorité des marchés financiers (Quebec). (TMX has suggested that there are factual inaccuracies in the above text and has committed to helping us correct them after the Christmas and New Year holidays). Shifting attention to Europe, the London Stock Exchange is the world’s most international capital market. More than 2,400 companies from more than 90 countries are quoted across its markets, with a combined value of over £4 trillion. Its markets include the Main Market, the flagship venue for equity, debt and exchange-traded products, offering businesses access to Europe’s most liquid pool of capital, and AIM, hailed as the world’s leading market for small and growing companies. The LSE group also owns Borsa Italiana SpA, one of Europe’s largest and most established stock exchanges. The Italian Exchange operates markets trading in Italian equities, bonds and derivatives. Markets include the MIV and STAR segments as well as AIM Italia and MAC for small cap companies. The LSE group can trace its formal history back to 1801. Trading took place before that in London's coffee houses and other venues. A market in loan tallies and future bill settlements had been in existence since the early 17th Century. The name “Stock Exchange” was formally adopted in 1773 by a group of brokers, dealing in the stocks of new commercial companies. They operated from premises in Sweetings Alley, Threadneedle Street. In 1802, this group moved into purpose-built accommodation on the corner of Throgmorton Street and Old Broad Street until 2004, when it relocated to Paternoster Square. Germany's Deutsche Boerse AG and the UK's London Stock Exchange Group announced controversial plans to merge in 2016. The European Commission blocked the plans in 2017 and the repercussions continue to rumble on. Any book of this kind starts to go out of date almost immediately it is published. Significant changes have already begun in this case including the extraordinary twists and turns surrounding the future of CEO Xavier R Rolet KBE. He announced on 29 November that he would leave immediately after nearly a decade in the post, during which the LSEG has been transformed. In terms of market capitalisation alone its value has risen from £800m to nearly £14bn. Suspicion abounded that he was being forced to leave the post. The LSEG issued a formal statement on 3 November in response to a letter from activist investment TCI Capital Management (The Children's Investment Fund) saying that Xavier Rolet would be providing input into the process to identify his successor and remain focussed on his role as CEO until a successor could be appointed. Rapid developments later in the month put paid to that plan. Pre-defenestration, Rolet was listed as number 21 in the most influential people list. The accompanying editorial entry is almost cruel. “While the PR [public relations] machine has been busy championing a theme of 'I'm back', in truth Xavier Rolet's influence beyond the fawning Sunday papers appears on the wane,” it reads. “His peak was reached before the sale of Russell and the subsequent issues with the asset manager sale marked a first serious setback, adds Young (the LSE completed the sale of Russell Asset Management in June 2016, less than two years after agreeing to buy it). The entry describes the supposed merger of equals with Deutsche Boerse as a merger of equal destruction, a fiasco and a shambles. For the record, chief financial officer David Warren is stepping into his shoes while the exchange looks for a permanent replacement. But Warren's own position is being called into question by TCI. UK regulators include: Bank of England, Financial Conduct Authority Prudential Regulation Authority, Financial Policy Committee. The Takeover Panel rules on mergers and acquisitions activity but it has no statutory legal authority. Frankfurt-based Deutsche Börse Group traces its roots to 1585. It is one of the largest exchange organisations worldwide. It has an integrated business model. Its product and service portfolio has a broader basis than other exchange organisations. Its process chain stretches from the monitored execution of trading orders, clearing, netting and transaction settlement through to post-trade custody of securities as well as the necessary electronic infrastructure and the provision of market information. The stated vision of management is to turn Deutsche Börse Group into the global market infrastructure provider of choice, one that is moreover top-ranked in all of its sundry activities by, inter alia, taking advantage of external growth opportunities. Deutsche Börse became the financial centre partner of the Eintracht Frankfurt Fußball AG in May 2017. Continuing the comedic theme of Carry On Up The LSEG, current CEO Carsten Kengeter is to leave the post at the end of 2017. This follows a barrage of adverse publicity linked to accusations of insider trading ahead of the announcement of the plans to merge with LSEG. Kengeter will be replaced by Theodor Weimer, currently spokesman of the Management Board of HypoVereinsbank – UniCredit Bank AG (Munich). Patrick L Young addresses the insider issue directly in his entry relating to Kengeter, stating that it is remarkable in the circumstances that he makes the list at all. “...with the nickname 'Carcrash sticking around the parish, it is absolutely clear Kengeter's influence is not merely waning, it is almost invisible for the boss of the world's fourth-largest publicly quoted exchange franchise,” he writes. “Perhaps like an unlucky football manager, Kengeter was just the wrong manager at the wrong time.” Weimer does not appear on the list. Ever-expanding Euronext describes itself as the leading pan-European exchange in the eurozone. It had nearly 1,300 listed issuers worth some €3.5 trillion in market capitalisation at end March 2017. It has a blue chip franchise consisting of 25 issuers in the EURO STOXX 50 benchmark. Euronext is proposing to continue its advance across Europe through the acquisition of 100% percent of The Irish Stock Exchange plc (ISE), for €137m. Headquartered in Dublin, ISE is Ireland’s incumbent stock exchange operator and a global leader in the listing of debt and funds securities. ISE is the first pool of liquidity for Irish equities (51 listed companies, with around €122bn total domestic equity market capitalisation), the first debt listing venue globally (30,000+ securities and listings from 90 countries) and the first fund listing venue globally (5,242 Investment Funds Securities and 227 ETFs). Deirdre Somers, CEO of ISE, will join Euronext’s managing board with group-wide responsibility for debt, funds & exchange-traded funds listing. Euronext says the transaction brings together two highly complementary businesses with significant growth opportunities and expands Euronext’s federal model to a new attractive European country. 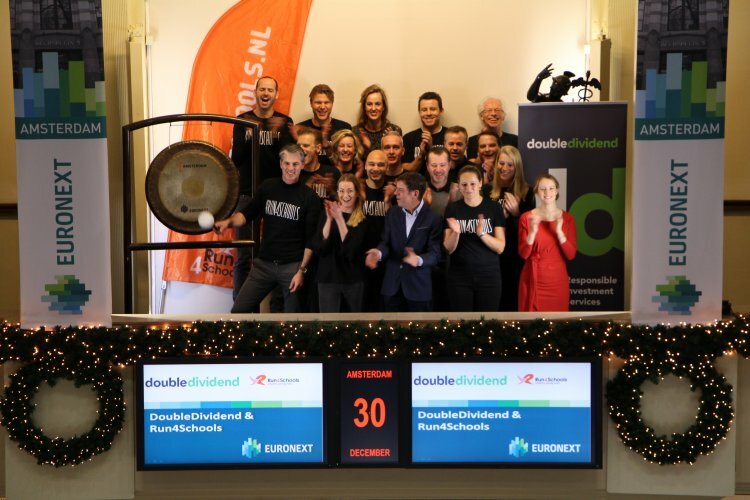 It creates a leading global player in debt and fund listings, combining the listing expertise of ISE with the traded markets expertise of Euronext. 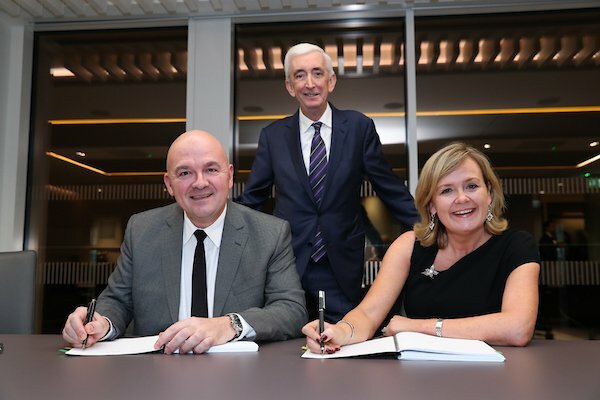 This transaction will also develop the Irish capital markets ecosystem within a European context and as part of Euronext’s core mission to power the real economy, it says. Stéphane Boujnah (left), Padraic O'Connor (standing) and Deirdre Somers (right). Photographer Mark Maxwell. Courtesy of Euronext. Somers is not the only ISE representative poised to join the Euronext board. 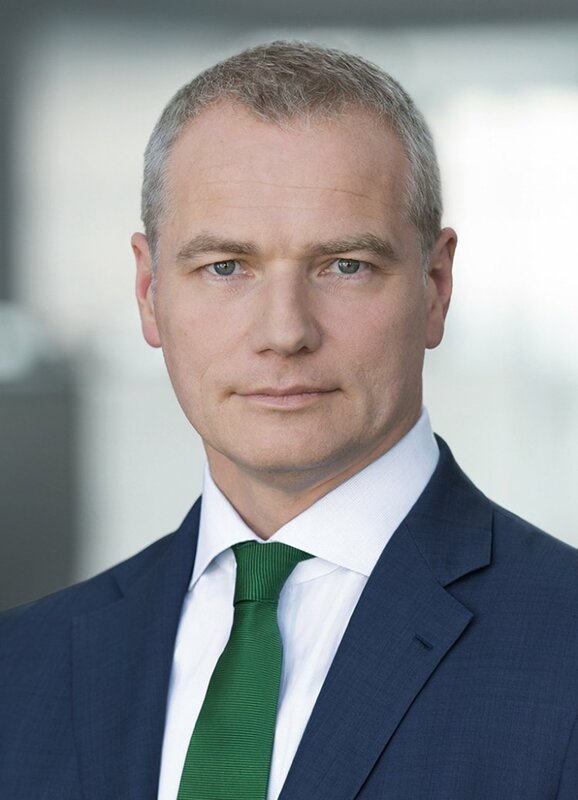 Padraic O’Connor, non-executive chairman of ISE, will be proposed as a new member of Euronext’s Supervisory Board at the next Annual General Meeting of Euronext. Euronext says the acquisition is part of its strategy to leverage its balance sheet, while retaining financial flexibility, to capture value accretive opportunities and accelerate growth and strengthen its revenue profile. Its CEO and chairman Stéphane Boujnah occupies 94th position in the Exchange Invest most influential list. 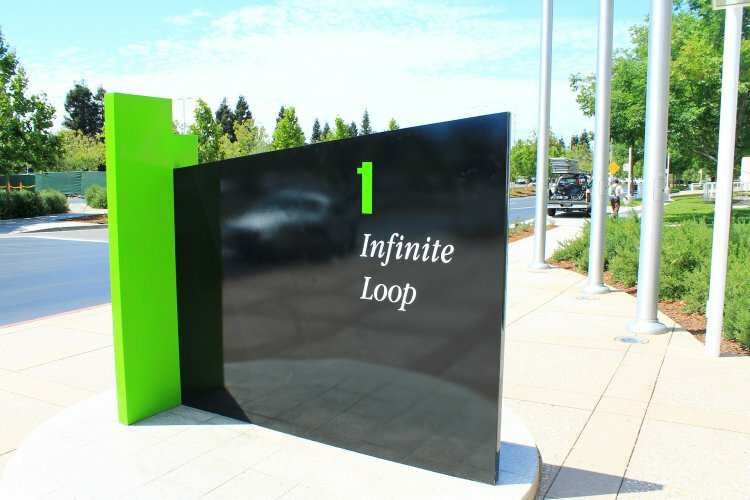 He is influential as the boss of a large multinational in the second tier, albeit struggling to keep his French stakeholder happy, his entry states. 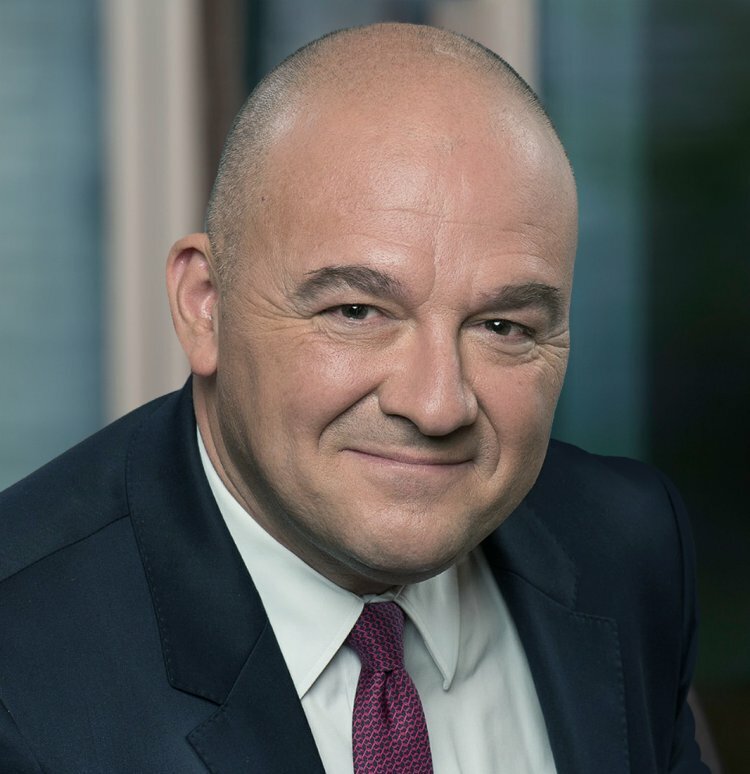 “Stéphane Boujnah has an interesting approach to Euronext and is pushing the business ahead, emphasising it can survive independently,” writes Patrick L Young, in a way that sounds close to damning with faint praise. France's regulators include: Autorité des marchés financiers. Netherlands regulators include: Netherlands Authority for the Financial Markets (in Dutch AFM - Autoriteit Financiële Markten). Belgium's regulators include: (FSMA - Autorité des services et marchés financiers/Authoriteit voor Financiële Diensten en Markten). Portugal's regulators include: Portuguese Securities Market Commission. Lee Hodgkinson, CEO of Euronext London and vice-president of FESE (Federation of European Stock Exchanges), sits at 99th in the list. His entry describes him as the key free marketeer in the Euronext organisation, running London and maintaining a high profile across cash and derivatives markets. He was unlucky to miss out on the top job at Euronext but has a high profile, is a likeable figure and is doing an excellent job in his FESE role on top of his Euronext roles, it adds. 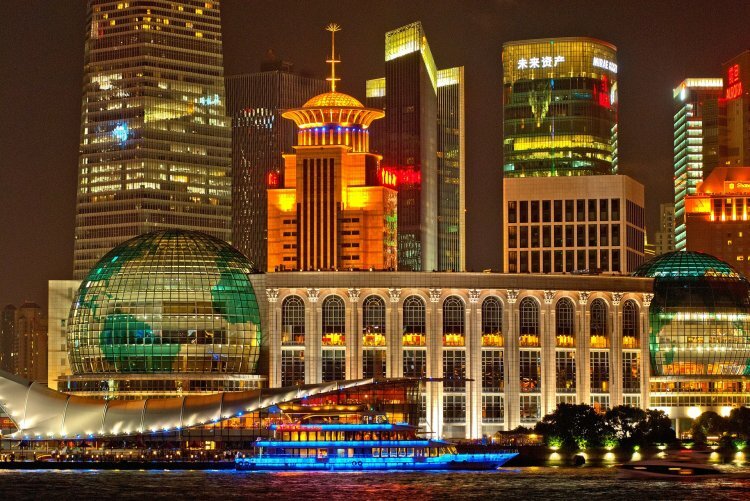 Turning to Asian stock exchanges, Shanghai was China’s first city to see the creation of stocks and a stock exchange. Stock trading started in Shanghai as early as 1860s in the wake of the Opium Wars. In 1891, the Shanghai Share brokers Association was established as a primitive bourse. In 1920 and 1921, the Shanghai Security Goods Exchange and the Shanghai Chinese Security Exchange commenced operations respectively. By the 1930s, Shanghai had emerged as the financial centre of the Far East. Both Chinese and foreign investors could trade stocks, debentures, government bonds and futures. In 1946, Shanghai Securities Exchange Co was created as a Chinese securities exchange. It ceased operations three years in 1949. Since 1980, the Shanghai Stock Exchange says that China’s securities market has evolved in tandem with the country’s introduction of reform, the opening-up policy and development of a socialist market economy. In 1981, trading in treasury bonds was resumed. In 1984, stocks and enterprise bonds emerged in Shanghai and a few other cities. On 26 November 1990, Shanghai Stock Exchange (SSE) came into existence. On 19 December 19 of the same year it started formal operations. SSE says it has developed to a comprehensive exchange with stocks, bonds, funds and derivatives products and a world-class exchange system. and communication infrastructure, and effective self-regulatory system. The SSE is directly governed by the China Securities Regulatory Commission (CSRC). SSE bases its development on the rule of law, regulation, self-discipline and compliance. This was in order to create a transparent, open, secure and efficient marketplace. President Dr Huang Hongyuan is probably happy with his ranking at 88 in the most influential list, given the positive significance of the number eight in the culture of the People's Republic. It is broadly taken to signify wealth and status. He became the SSE president after a 'wealth of experience in banking and the CSRC, joining as an executive vice president in 2011 and being elevated to the presidency in 2012. 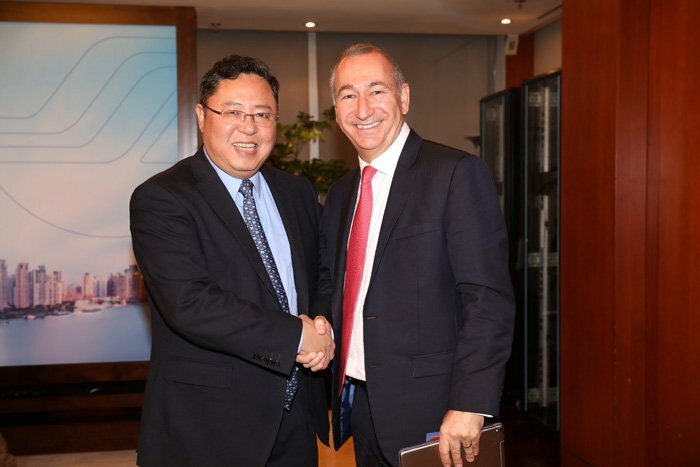 He is also a board member at CEINEX, the China Europe International Exchange. Shiyu Liu, chairman of the CSRC and a member of the board of IOSCO (International Organization of Securities Commissions), is in 20th place in the most influential list. If the remarks attributed to him in the Exchange Invest book are accurate, he is nothing if not outspoken. “I was shocked by the chaos that I saw in financial markets after I came into office,” he is quoted as saying. “These so-called barbarians, demons, evil creatures or financial crocodiles have taken advantage of loopholes in the system and grabbed what they want by cheating or force under the cloak of legality at the expense of small investors. People's Republic of China regulators include: China Securities Regulatory Commission, China Banking Regulatory Commission. Securities trading in Hong Kong has an exotic history dating back to the mid-19th century. The first formal market, the Association of Stockbrokers in Hong Kong, was established in 1891. It was renamed the Hong Kong Stock Exchange in 1914. A second exchange, the Hong Kong Stockbrokers' Association, was incorporated in 1921. The two merged to form the Hong Kong Stock Exchange in 1947 and re-established the stock market after the Second World War. Pressure to strengthen market regulation and to unify the four exchanges led to the incorporation of the Stock Exchange of Hong Kong (SEHK) in 1980. The four exchanges ceased business on 27 March 1986. The new exchange commenced trading through a computer-assisted system on 2 April 1986. 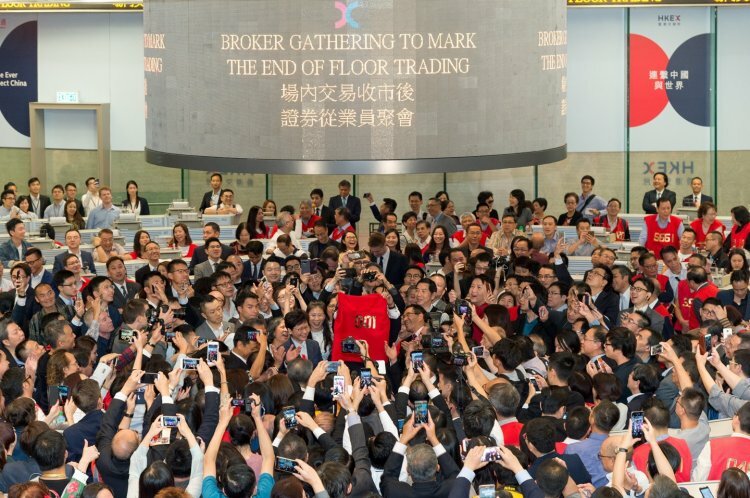 By the time of the completion of the merger with HKFE in March 2000, the unified exchange had 570 participants. In his 1999 Budget speech, Hong Kong's then financial secretary announced comprehensive market reform of the stock and futures markets. The reforms were designed to increase competitiveness and meet the challenges of an increasingly globalised market. The SEHK and Hong Kong Futures Exchange (HKFE) demutualised and merged with Hong Kong Securities Clearing Company (HKSCC) under a single holding company, HKEX, in March 2000. 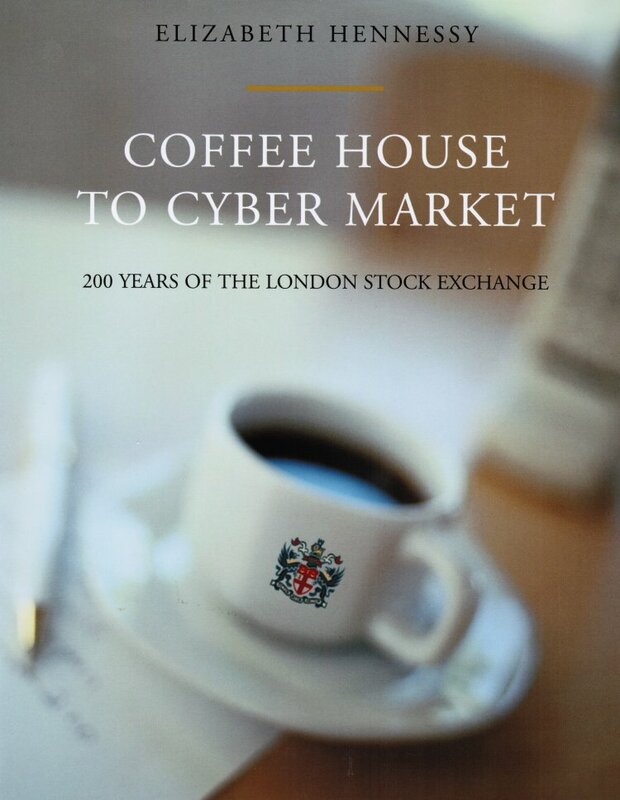 In December 2012, HKEX acquired the London Metal Exchange, the world’s premier metal exchange since its own founding in 1877. HKEX today confidently describes itself as a world-leading capital raising venue for Hong Kong, mainland Chinese and international issuers. It also acts as the frontline regulator of companies listed in Hong Kong. Chief executive officer Charles Li Xiaojia, number three on the Exchange Invest most influential list, is described by Patrick L Young as having truly ridden a rollercoaster of a career ride in recent years. “Various issues made his tenure look remarkably touch and go just a few years back,” he writes. The Shenzhen Stock Exchange (SZSE) was established in China on 1 December 1990 as a self-regulated legal entity under the supervision of China Securities Regulatory Commission (CSRC). The SZSE organises and supervises securities trading and performs duties prescribed by laws, regulations, rules and policies. Its main functions include providing the venue and facilities for securities trading and formulating operational rules. Other functions are to receive listing applications and arranging securities listing, organising and supervising securities trading, supervising members; regulating listed companies, managing and disseminating market information. SZSE says on its website that it is committed to developing China’s multi-tiered capital market system, serving national economic development and transformation and supporting the national strategy of independent innovation. The SME Board was launched in May 2004. The ChiNext market was inaugurated in October 2009. Thus SZSE has a framework of multi-tiered capital market comprising the Main Board, SME Board, and the ChiNext market. SZSE’s products cover equities, mutual funds and bonds. The product lines include A-shares, B-shares, indices, mutual funds, fixed income products and diversified derivative financial products. Chief executive officer and president Wang Jianjun is in 86th place in the most influential list. His entry on page 63 is just over four lines long. It briefly describes how after seven years with the CSRC, he joined the SZSE as a replacement for the first female head of the exchange and spent eight years in office building it into the eighth-largest stock market in the world by market capitalisation. The Tokyo Stock Exchange and Osaka Stock Exchange merged to become Japan Exchange Group (JPX) on 1 January 2013. The TSE subsidiary is ranked fourth in the world and first in Asia by market capitalisation. The forerunner to that version of the Tokyo Stock Exchange was founded in May 1878. In the early Meiji era, floor clerks worked in the traditional kimono. In March 1943, 11 exchanges across the country were merged into the Japan Securities Exchange with the former Tokyo Stock Exchange's stock incorporated into the controlled economy during wartime. Floor trading was suspended in August 1945 with what the TSE describes as aggravation of the war situation. After the war ended, the stock trading floor was occupied by the General Headquarters of the Allied Forces until January 1948. The Japan Securities Exchange was dissolved in 1947 while a large number of shares were reallocated to public investors due to a break-up of very large Japanese Zaibatsu, or industrial conglomerates. 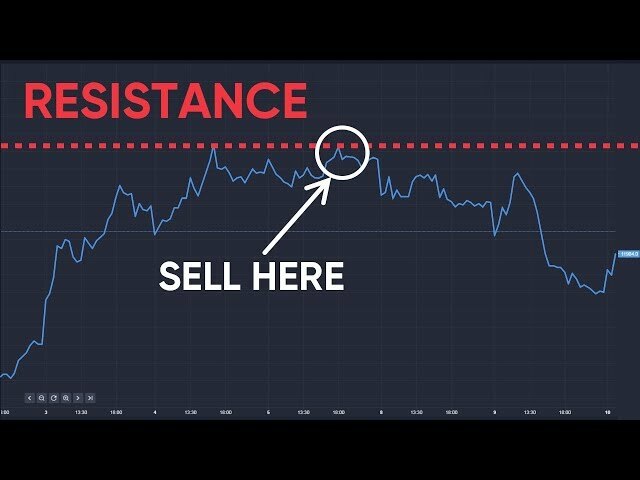 Owning stocks immediately became popular. Trading at the Tokyo Stock Exchange resumed in May, 1949. In the 1960s, the securities industry suffered heavily due to the slumping economy and sluggish trading. In January 1968, the regulatory frameworks of securities companies were shifted to a licensing system. JPX today operates financial instruments exchange markets to provide market users with reliable venues for trading listed securities and derivatives instruments. It has a total of 3,582 listed companies as at 28 November 2017. In addition to providing market infrastructure and market data, JPX also provides clearing and settlement services through a central counterparty and conducts trading oversight to maintain the integrity of the markets. It says that in the course of working together as an exchange group to offer a comprehensive range of services, it continues to make every effort to ensure reliable markets and create greater convenience for all market users. CEO of today's JPX is Ajira Kiyota. He is also a member of the board of the World Federation of Exchanges. He has confidently steered the unified JPX forward post-merger, according to Patrick L Young. 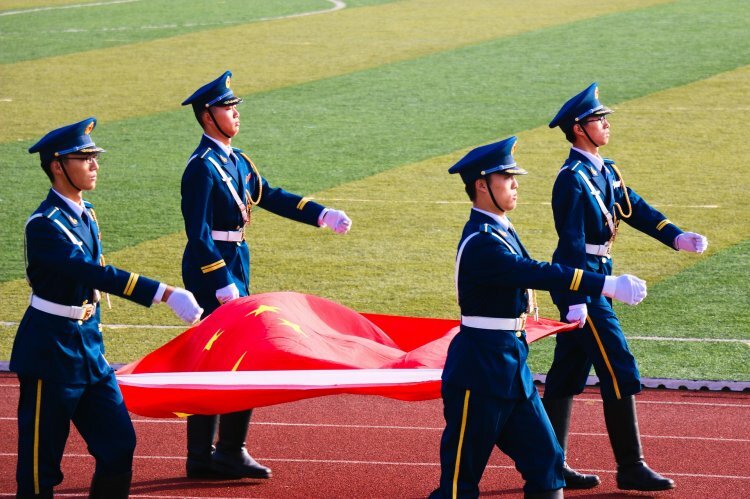 Nowadays Japan may not be seen as the vast opportunity which China is perceived to represent but volume remains significant and operations are efficient, he observes. Japan's regulators include: Financial Services Agency, Securities and Exchange Surveillance Commission. Turning to the question of stock markets in the middle east, the Dubai stock exchange is part of Dubai Financial Market (DFM). Launched on 26 March 2000, DFM says it has fast developed into a leading financial market across the region. DFM says in its own corporate overview that its ongoing efforts and strategic initiatives have further reinforced Dubai as a centre of excellence in this part of the world and enhanced its leading position as a powerful capital market hub. It adds that it embraces international best practices to meet the evolving needs of its investors locally and internationally. On 27th December 2005, the Executive Council of Dubai decided to transform the DFM into a public shareholding company with a capital of AED 8bn divided into 8bn shares, and 20% of the capital, equal to 1.6bn shares, was offered through an IPO (initial public offering). Demand exceeded all expectations, with subscriptions amounting to AED 201 bn. On 7 March 2007, the Dubai Financial Market Company was listed on the market with the trading symbol DFM. 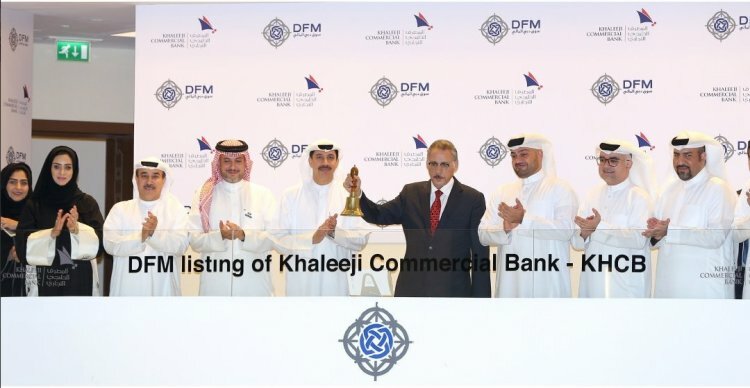 The DFM is the first financial market to have offered its shares through an IPO in the Middle East. It says this reflects the leading role played by the Emirate of Dubai in selling shares of governmental institutions in the region. Essa Abdulfattah, chairman of DFM and Bourse Dubai, is a pivotal figure in Dubai, says Patrick L Young, as governor the Dubai International Financial Centre and holding a position on the main Nasdaq board. He is 116 on the most influential list. The Dubai Financial Market (DFM) is governed and regulated by the UAE Securities and Commodities Authority (SCA) which has the authority to impose laws and standards which the DFM must comply. The DFM works proactively with the SCA to protect investors and provide an optimum trading platform, which includes initiatives such as the development of Margin Trading and Delivery v Payment (DvP) mechanisms. DFM operates according to Shari'a principles. It says this clearly reflects the ambitious vision of His Highness Sheikh Mohammed bin Rashid Al Maktoum, vice-president of the UAE, Prime Minister and Ruler of Dubai. In 2010, the DFM consolidated its operations with Nasdaq Dubai to create a dynamic force in the region’s capital markets. It says the consolidation provides investors with a greater choice of asset classes and easier access to DFM and Nasdaq Dubai listed securities via a single Investor Number (NIN). This means investors can trade seamlessly across the two exchanges. Both exchanges continue to be regulated separately. DFM is regulated by the SCA. Nasdaq Dubai is regulated by the Dubai Financial Services Authority (DFSA). On 27 November 2017 the DFM launched a general clearing member (GCM) service. It says this will enable approved local banks to provide brokerage firms with a clearing and settlement service, following the completion of technical and regulatory arrangements. This will enable brokerage firms to focus their operations on their trading membership function, notes the DFM, so reducing collateral requirements and operational costs. The Emirates NBD Group became the first approved GCM for the UAE equity markets. Other exchanges in Dubai are the DGCX (Dubain Gold and Commodities Exchange) and the DME (Dubai Mercantile Exchange).